Book release and overview information about our published titles. Press releases for our published titles. 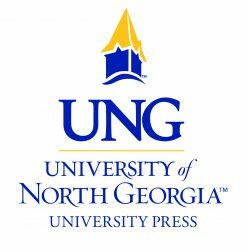 Information about the UNG Press staff. Blogs about professional development and information. All of our blogs about editing, gathered in one central location. Your source for a better understanding of the publishing world. All of our blogs about writing, gathered in one central location. My favorite summer reading place now only exists in my memory. I grew up in Miami, and we had a medium-sized cabin cruiser we dry docked in Key Largo, where storage facilities cost a lot less than in Miami. Most weekends, we’d drive down to Key Largo and take Robinson Crusoe past Blackwater Sound, past John Pennekamp Coral Reef, out to the shipping lanes. Sometimes the water was so clear, you could see small, colorful fish swimming through the coral. In the shipping lanes, the water changed rhythm, into deeper rolls. Through all of this, I would sit in the bow, feeling a bit like the Winged Victory of Samothrace flying over the water. And while my parents fished, I would stay in the bow reading. That’s still my favorite reading spot, especially in the summer. As a mother, I find myself grabbing five or ten minutes here or there to read. My children, you see, have a sixth sense. As soon as I start reading, their spidey senses tingle and they immediately stop their independent play to come find me and ask me for something. Anything. That said, my favorite summer reading spot is inside in my comfy chair next to a window while we are having one of our wonderful summer storms. Extra points if the power is out. My favorite summer reading spot is inside. Is that bad? I love the outdoors, but I hate how bugs will swarm around me if I try to read. Plus, I’m allergic to pollen and bushes and pollen and trees and, did I mention, pollen. 5 minutes outdoors and I’m sneezing. Instead of killing myself, I stay inside and read by the window. (Like a cat, only better because I have thumbs.) I get to see the greenery and admire my flowers, all without sacrificing myself for a mosquito’s dinner. My favorite summer reading spot is Yahoola Creek Park in Dahlonega, Georgia. Yahoola has a mountainous backdrop, and there is a calm creek winding through the park with many shade trees lining its path. Sometimes, I like to pack a hammock and set it up between two trees next to the creek. The creek, along with the soft murmur of other people at the park, gives a nice white noise while reading. If it gets too hot, you can always take a step into the cold water and see a hiding crawfish or a sunbathing turtle. I think that is the biggest perk of reading here. A lot of outdoors places don’t have any way to beat the heat. And if you need a break from reading entirely, there is always something to watch: birds, squirrels, people fishing or playing sports. From a very young age, the small creek located behind my house has always been my favorite place to visit with a book in hand. I am a strong believer that nature is one of the great stimulators of the imagination, whether one is creating a work of art or consuming it voraciously. The cool breeze blowing on one’s face, the rustling of the tree branches overhead, and the occasional glimpse of one’s reflection in the rippling water nearby. What better place could there possibly be to detach from the noise of the world around us and properly visualize what is within the printed pages of a book?